In this tutorial series, we will teach you how to open a pdf file in Android Application Example included with the help of Android PDFViewer library developed by Barteksc. The app will open a specified pdf file which will be copied in the assets folder of your Android studio project. I've used bitcoin.pdf file, you can use any of your choices. 1.Open Android Studio and create a new project with Application name as, ‘FIMC PDFViewer’ (you can use any of your choices!). 2. We have used API level 19 in our project as 90% devices support this, click next and select to create an Empty Activity. 4. Search for dependencies and add the following line of code to it. 6. Now check for a Yellow color bar on top of Project Window and click on 'Build Gradle'. 7. Now go to activity_main.xml file in res > layout in Text mode and remove any component other than the layout. 8. Go back to Project panel in the left of Android Studio and right click on the 'app' folder. 9. Go to New Folder > New Assets Folder. Click OK. New assets folder is now created. 10. Right-click on the \'assets\' folder and select, 'Open in Explorer'. 11. Copy and Paste your PDF File in this folder. 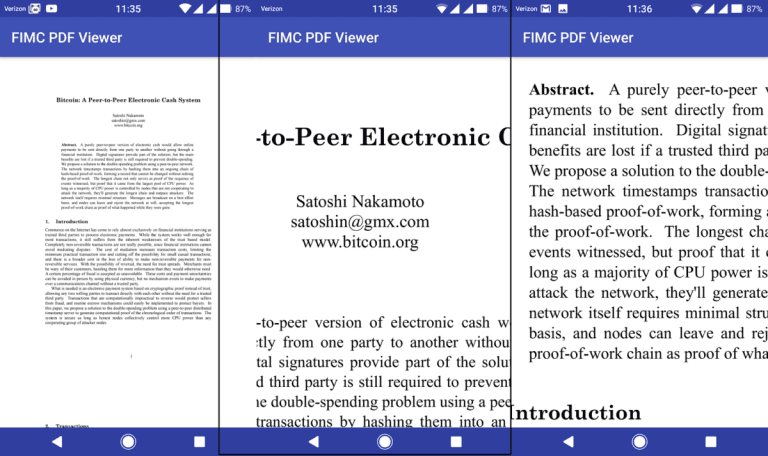 Now that your own personal PDFViewer App is ready, Build and run in on your Device. 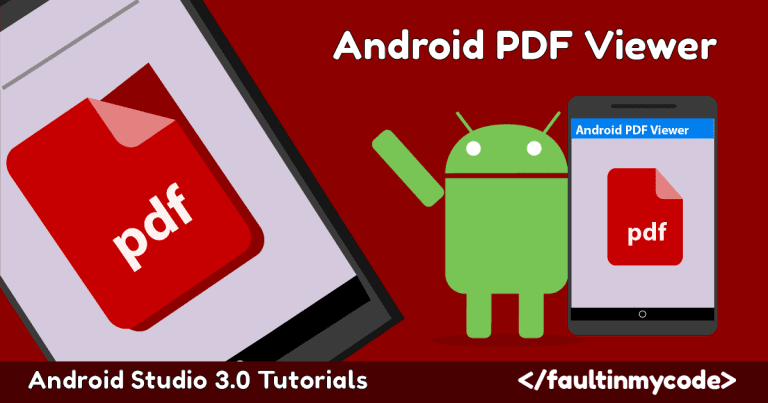 Let us know how did you like our 'How To Open PDF File in Android Application Example' in the comment section below . You can Download this Project from here. Thanks for the lesson. Can you show us how to print from PDFView, after open? and do we have solution how to add data from Java code to PDFView. Thanks!